Our 3 Days wildebeest migration in Serengeti is a short unforgettable wildlife holiday. This Tanzania safari takes you inside the Serengeti National Park. Serengeti is Africa’s most famous park in northern Tanzania. We at Jamboree Africa Tansania safaris takes you to the Serengeti National Park. The park covers an area of 14,763 sq km’s or 5,700 sq miles and is located 335 Km’s (208 Miles) from Arusha. It stretches north to Kenya’s Masai Mara Game Reserve and borders Lake Victoria to the west. The flying time to the Serengeti from Arusha is 1 Hour 30 minutes, Dar es Salaam is 2 Hours, Lake Manyara 1 Hour and Zanzibar 1Hour 40 Minutes. 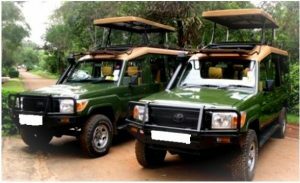 Enjoy our safaris in Tanzania to the famous Serengeti which is the mother of all safari parks and the most popular wildlife reserve in the world. Serengeti is famous for concentrations of predators and the Great Migration of 2 million wildebeest. Book our fly-in Tanzania safari today enjoy wildebeest migration on your Tansania safari. The Serengeti’s main attraction is the Great Migration, consisting of up to 2 million wildebeest, 200,000 zebras and 350,000 Thompson, impala and grant’s gazelles. The predator viewing here is exceptional with approximately 3-4,000 lion and huge numbers of cheetah, leopard and hyena. Other game found in the park include topi, eland, hartebeest, buffalo, elephant, caracal, serval, aardvark, giraffe, jackal, mongoose, crocodile, aardwolf, baboons, monkeys and over 500 species of bird. Witness the Great Migration Serengeti safari Tanzania: Throughout the year huge herds of wildebeest and zebra move in a clockwise direction around the vast plains, searching for fresh grazing grounds. Witnessing the migration in the Serengeti is really as good as it gets in terms of your Tanzania Safari experience. 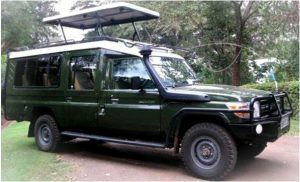 Tansania Serengeti daytime game drives: The main attraction here is the wildlife. Serengeti National Park houses a huge population of large mammals, including giraffes, baboons, elephants, hippos, and, of course, lions. Enjoy our great flying package in Luxury accommodation one of the best safari in Tanzania.